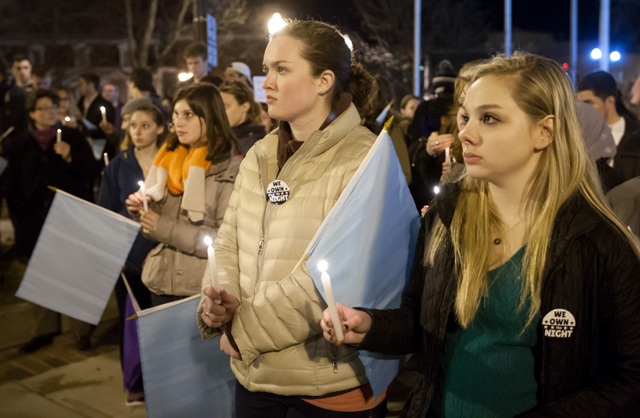 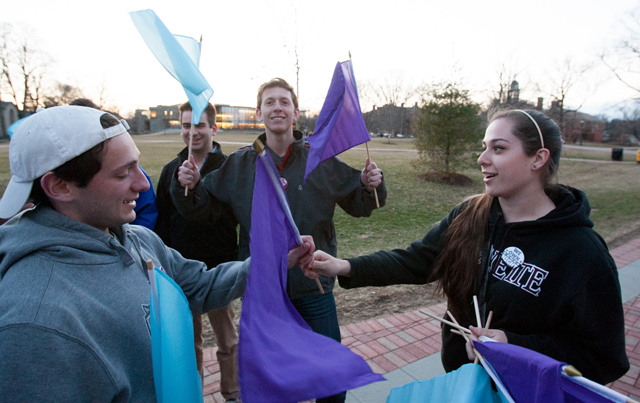 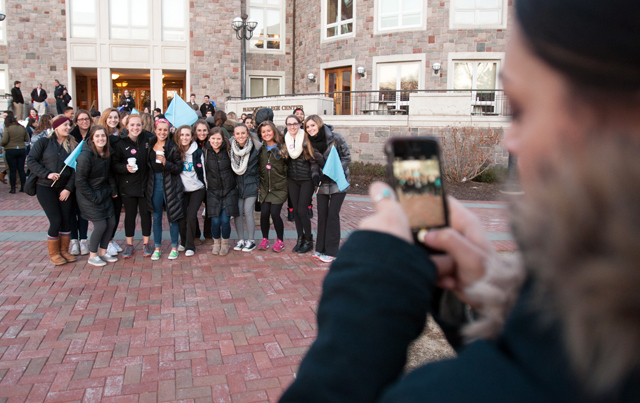 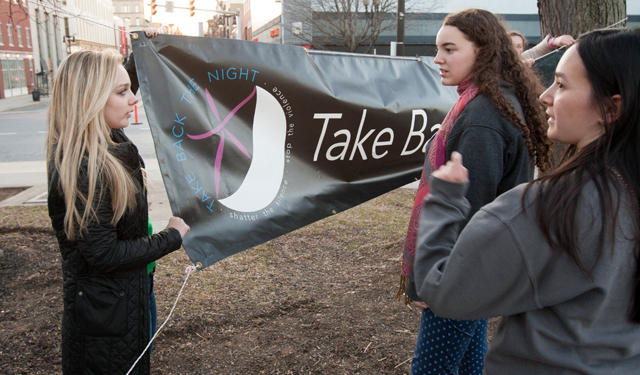 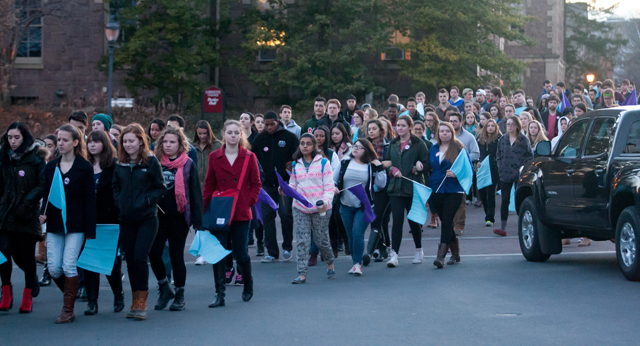 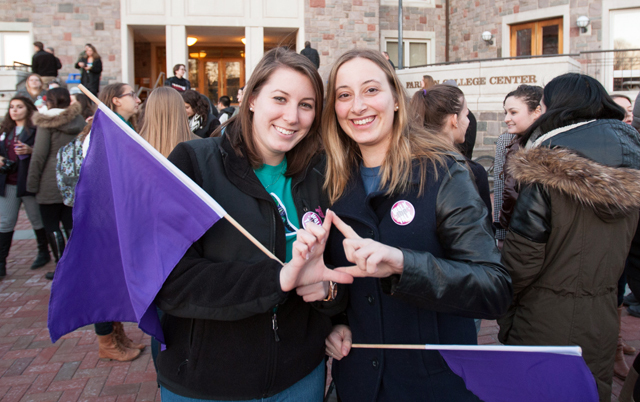 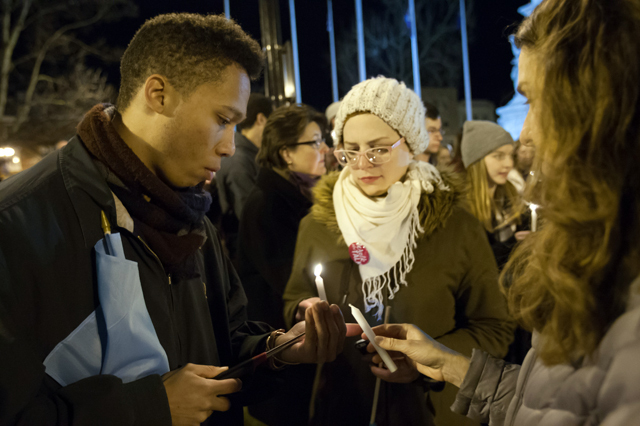 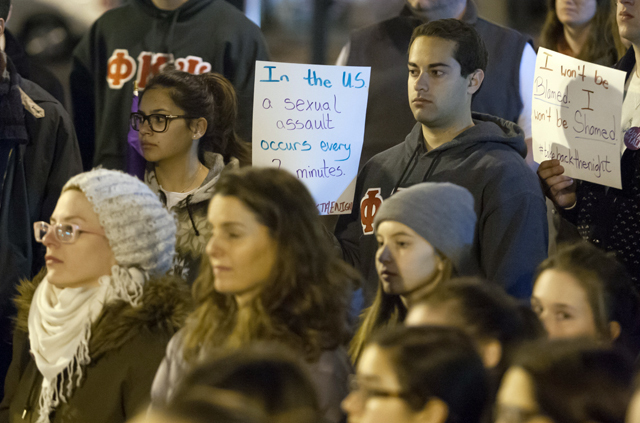 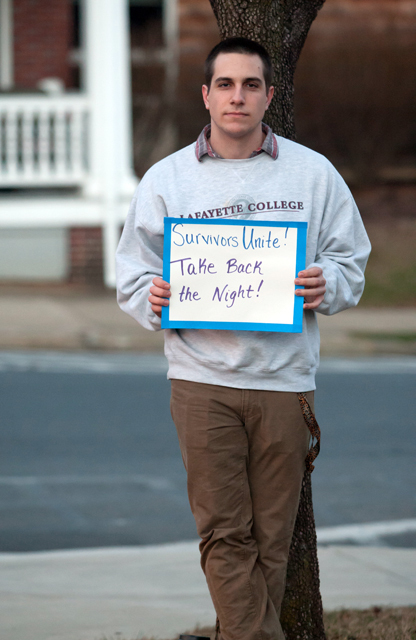 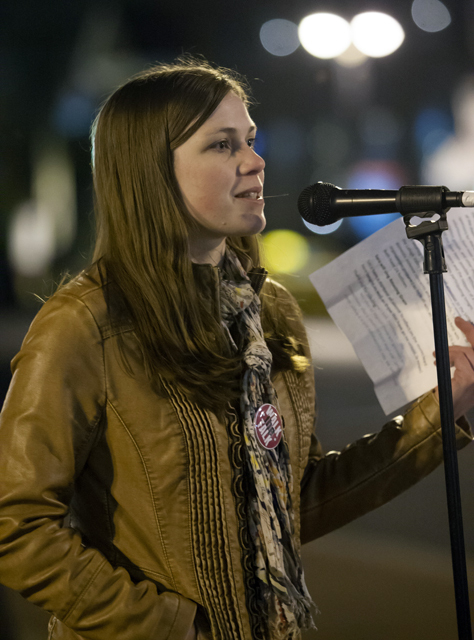 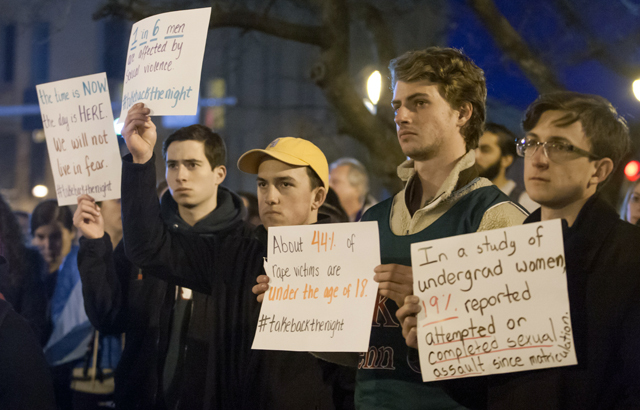 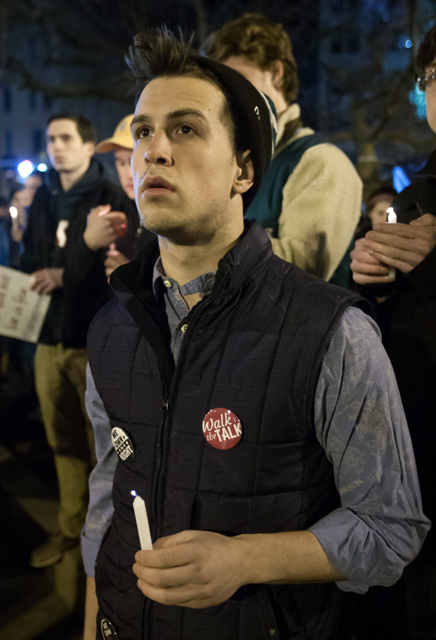 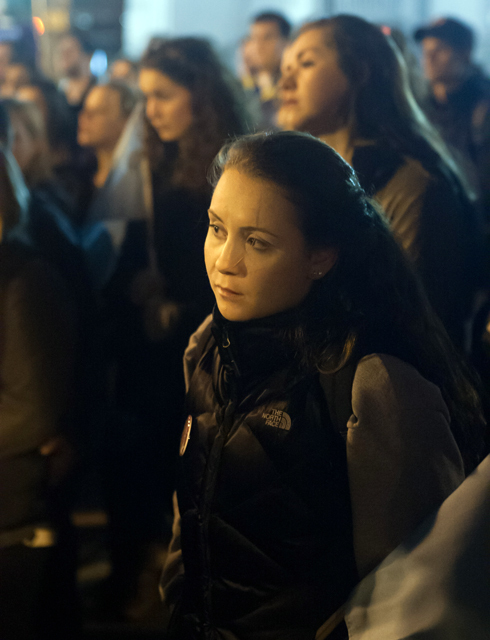 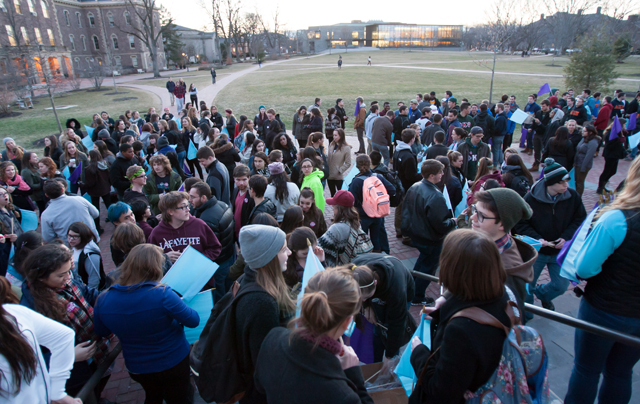 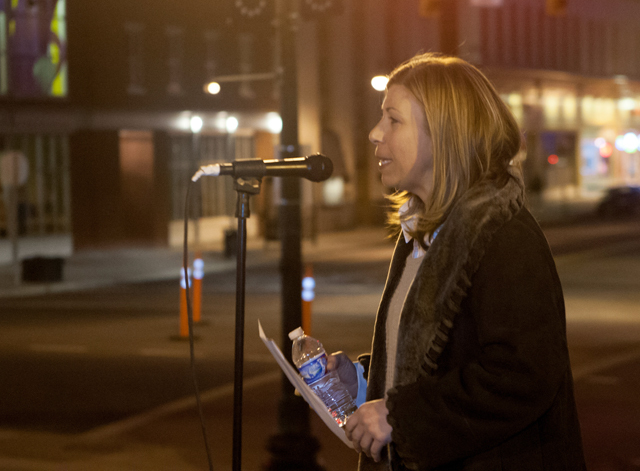 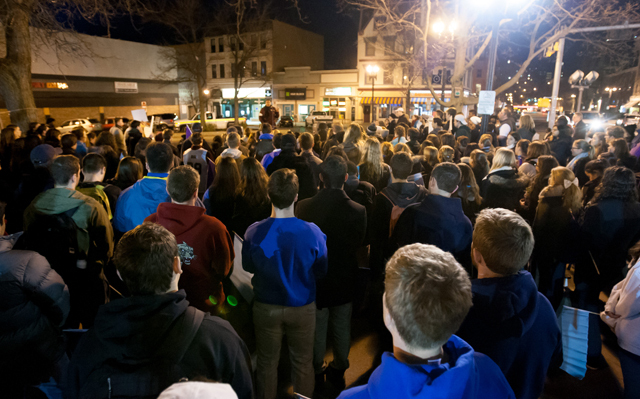 Nearly 200 students marched from the Farinon Center down Third Street for the Take Back the Night rally in Easton’s Centre Square Monday evening. 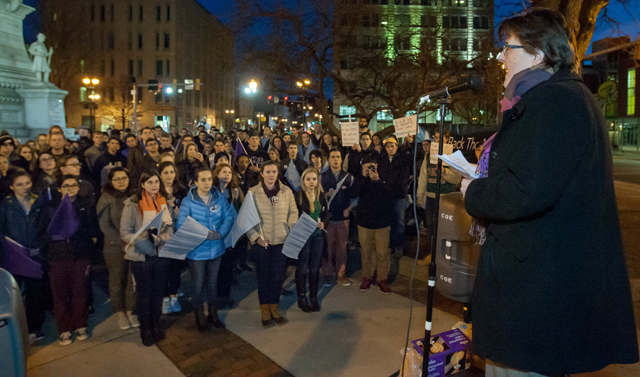 The event serves as the culmination of Lafayette’s celebration of Women’s History Month and supports the fight against sexual violence. 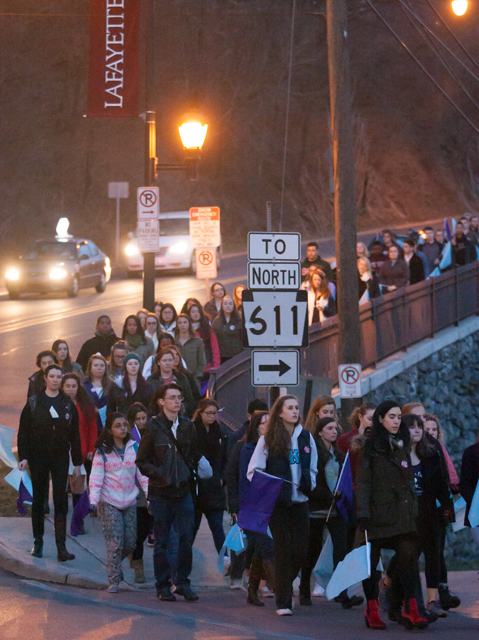 Students, faculty, staff, and local residents shared their experiences in hopes of promoting a safer world for women and girls.